EES, celebrando 15 Años de excelencia en la enseñanza de idiomas en Chile. Return on investment (ROI) quantifies the monetary benefits of investment, in this case, in corporate language training over a specified return period. It measures the extent of success weighed against the costs of training. Although the ROI measure is useful in justifying a planned future investment in corporate language training and in ascertaining that investments success, it fails to encompass all elements of the trainings benefits. For example it excludes intangible outcomes such as participant satisfaction with the training. The initial step in calculating ROI of corporate language training is an estimation of associated business costs and benefits. Image, Reputation and Efficiency, Effective presentation and communication are vital to success in the corporate arena. Communication activities where corporate language use and confidence are critical, can be significantly impaired or strengthened given the correct corporate language skillset. To maximise business communication impact it is imperative to minimize potentially embarrassing errors and dangerous misunderstandings, and also to interpret, develop and to explain a convincing message with the commensurate data and knowledge conveyed effectively. Flawless corporate language skills can be a powerful signal to the international business community about an organisation’s ability to manage business efficiently. With the right training a business can project a solid image and reputation on an international platform and leverage this image into generating further new business. 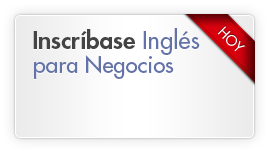 With training specifically designed for financial managers, executives and professionals working in a global marketplace, Spanish courses and English courses of corporate language training can provide direct added value and impact on day-to day business performance. Often corporate language training focuses on individual communication requirements while incorporating business organization needs, allowing delivery of a stronger ROI in terms of human capital productivity, development and retention. Although learning new or improved skills – the primary aim of training – is often measured objectively using a test or formal assessment, the more important objective is the degree of retention – which is assessed through on the job application. An effective training course of corporate language should cover both the language and communication skills needed to interact succinctly and confidently within the business world. The training will develop confidence in communicating information and data and should enrich technical vocabulary and phrasing used to explain results. Additionally, it should include the ability to write and speak clearly and accurately using industry terminology, which in turn will build the credibility of the business. These improvements will be reflected in behaviour on the job. As a result of this training and behaviour modification, there will be a consequential positive impact on business performance. A wide variety of indicators can be employed to measure the impact of corporate language training on performance – examples include numbers of miscommunications/errors and new business deals made per month. Soft benefits and other intangibles are significant when considering ROI of corporate language training, as no single metric can satisfactorily cover the scope fully. Examples include improved customer service response times and feedback due to more technically and commercially competent speaking staff available and the skills and resources needed to create multinational teams. These are business benefits, often important to achieving strategic objectives, and should be considered despite not being satisfactorily included in ROI calculations. The financial benefits of training cannot be measured in terms of participant reactions, nor the amount of learning that has been achieved nor considering the extent to which behaviour may have changed. The real benefits come from improved business performance. ROI can help companies evaluate and choose training projects on the basis of effectiveness and cost. All other measures fail to reflect the financial reality that training must pay off in terms of improved business performance and profitability. Corporate language training leads to quantifiable savings due to a reduction in staff turnover, savings due to an increase in staff productivity and benefits through improved income generation. It is possible to quantify savings to the business from lower staff turnover – this saving will be reflected in lower recruitment and training costs. Additional labor savings occur where, as a result of the training, less effort is required to achieve current levels of output. Savings are realised by a reduction in the amount of labor applied to a particular task. Examples of labor savings include less time spent correcting errors, reduced effort duplication and quicker access to and application of financially relevant information. Productivity increases occur where, as a result of training, additional output can be achieved with the same level of effort. Examples of productivity increases include improved methodologies reducing the effort input, improved skillsets leading to quicker work and boosted motivation leading to increased effort. Additionally, it may be possible for new income to be generated as a direct result of training. Sometimes this can be satisfactorily recorded as a productivity increase, but there will be times when a more direct and specific analysis is required. In the case of corporate language training examples of new income would include a higher success rate in winning competitive pitches, leading to increased sales and new product ideas from improved industry competency leading to successful product launches. ROI gives the percentage return made over a specified time period as a result of training investment. The period specified may fit with an organisation’s planning cycle – perhaps a year. Alternatively, calculate ROI for the period corresponding to the benefit lifespan. 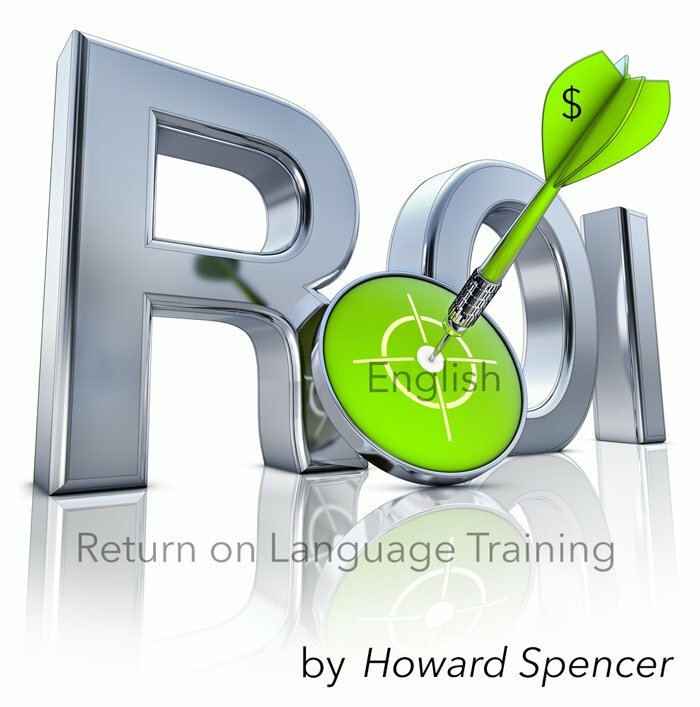 ROI can be a useful tool when assessing the use of corporate language training. However, in conducting a thorough analysis many calculations and assumptions are applied. This is especially true when an organisation starts to look at areas such as opportunity costs and productivity benefits. An error margin should be considered and calculated when using ROI (with at least 90% confidence) as the actual ROI will not be exactly the resulting number, but will lie in a range around that number. Should a more accurate measure be required then a further step would be to conduct a Monte Carlo analysis – with a number of variables, each with their own error margin, contributing to the final figure. An alternative, powerful measure to assess corporate language training is payback period (PP). PP calculates how many months it will take before the benefits of the training match the costs and the training pays for itself. If PP is relatively low – perhaps a few months – then the investment in training will lead to immediate, effective benefits and the investment is worthwhile. PP has the additional advantage of not requiring an arbitrary benefit period to be specified.